2013 was not as blockbuster a year for Pakistani dramas as 2012 was. In truth, 2013 was not quite the bumper year for Pakistani dramas that 2012 was. It was not that there were not any good dramas – there were – but the level of consistent quality that a serial needs to maintain in order to be memorable, seemed lacking. However, a curious thing happened. With no clear-cut blockbuster serials, we noticed quite a few smaller serials blooming in the wide open spaces left behind. Although sometimes low on budget, most of these dramas were high on quality, proving that funding needs not be a limiting factor. Serials such as Talkhiyan and Aunn Zara managed to punch above their weight by sticking to the basics – a good script, focused direction and actors who take their work seriously, not to mention a director of production (DOP) who can make ruins look like palaces and editors who are not afraid to actually do their job. The viewer’s choice polls which were conducted at www.dramapakistani.net, gave some surprising results reflecting the lack of consistency in many of the dramas seen in 2013. While many of us were expecting Hum TV’s magnum opus Zindagi Gulzar Hai to steal all the honours, the audience proved that it values content and quality more than it is often assumed. The reviewer’s choice awards are the culmination of a year of analysis and discussion, not only of the dramas being reviewed on our site but every drama that we found worth watching. The reviewer’s choice is about highlighting excellence where ever we find it simply because in the end we are nothing if not fans. At Dramapakistani, we take our dramas seriously and by extension we hope you, as the viewers do too. This came as a complete surprise to us – not because it was not a good drama but because it was a very difficult subject. The story was based on the harsh realities of child marriage and the very real lack of control women in Pakistani society have over their lives. Kudos to the director Mehreen Jabbar who managed to tread the very narrow line between depicting the cruel reality of the situation while keeping any crudeness at bay. Although she did not please everyone, as I said, it was a difficult subject. The other highlights of this serial included the writer – Farhat Ishtiaq’s wonderful happy ending, Samina Peerzada and Maria Wasti’s magical performances and most of all Nauman Ejaz who keeps proving what a fabulous actor he is, to us lesser mortals. There was an even three-way split between our reviewers and the vote which should have been the deciding factor went all on its own to Aik Naeey Cinderella. Kankar did something that a lot of other dramas failed to do – it brought the discussion of domestic violence to our living rooms. This was one of Umera’s best stories yet. Yes, it was repetitive but it had many memorable dialogues and all the characters were balanced, not to mention we saw a very powerful and purposeful heroine in Sanam Baloch. If we look at all the scenes and dialogues that we remember, they are mostly from Kankar. Talkhiyan deserves the award more than any other play for a very different and intriguing story line, amazing performances, superb direction and most of all for keeping me hooked right till the end. No surprises here, director Kashif Nisar did complete justice to Amna Mufti’s complex and deeply nuanced script. Like an invisible guide, he led the viewer through a maze of characters and storylines without once losing his focus on the main narrative. There were no lavish sets or amazing locations but he managed to keep the melodrama intriguing and compelling. Mehreen Jabbar made the word ‘refreshing’ seem inadequate in Coke Kahani to describe the wonderful, modern aesthetics and ambiance of this light and breezy drama. She brought out the best in each and every actor and the framing was fantastic! Again, no surprises here: Faiza has again proven herself to be a master storyteller weaving several story lines into a compelling narrative. She wrote the serial with her heart and soul, and depicted the story of everyday people who laugh and cry, do something foolish and selfish one minute but manage to redeem themselves the next, with an act of kindness or love. The talented cast, DOP, director and of course, the one-liners made the entire serial worth watching. Bee Gul managed to rework the book The God of Small Things in a really poetic way which while still being a salute to the original, is not a ‘middlebrow washout’. It was an excellent adaptation barring a few false notes. After a slightly shaky start Fahad Mustafa managed to give a strong performance as Sikander, Kiran’s abusive husband in Kankar. He brought such nuance and depth to a character who should have been an out-and-out villain and whom we should have hated outright. But due to his excellent portrayal of the role, we ended up pitying him. Despite his confusion at Kiran’s reaction to his abuse and his complete failure to take responsibility for his actions, we could feel his pain at losing her. Of course, there were some of us who were hoping that he would reform and that they would unite, but we should have known better. So, a hearty welcome back to the actor who wow-ed us in Mein Abdul Qadir Hoon and Mastana Mahi. Nauman Ejaz was his usual amazing self this year. He could be named best actor for Ulloo Baraye Farokht Nahi, Kami Reh Gayi, Rehaai or Bari Apa. The man is literally a powerhouse of talent and screen presence and we are simply in awe. His portrayal of the strangely twisted Mian Ghulam Farid had us glued to the screens – evil but good, cruel but oddly kind and if not admirable, then at least understandable. Such a subtly shaded performance is a rare event and deserves every accolade. Gule Rana, played by Saba Qamar was no ordinary ‘mazloom aurat’ (vulnerable woman), married to an evil man. She gave as much good as she got at times but at others she seemed strangely vulnerable. She craved Ghulam Farid’s attention but soon realised that her lot in life was only one degree higher than his ‘kept’ women and although she was disgusted with her in-laws’ immorality, she did not hesitate in helping her husband cheat his sisters out of their inheritance. It was a simply brilliant portrayal by Saba Qamar – one of the most versatile actresses in the industry. Gule Rana was a good match for Ghulam Farid and in her own way she was just as ruthless and hard as he was. Whether Saba Qamar plays a woman stuck in a feudal hierarchy or a socialite in urban Karachi, she does each role complete justice. Faizan Khawaja played the simple but sweet and sensible guy that every girl wants to meet. He delivered a memorable performance as a Roman in Aik Nayee Cinderella who despite the presence of a handsome ‘prince’ manages to win the heroine’s heart because he is kinder, nicer and generally a better person. Although still a relatively newcomer, he gave a fantastic performance that won many a girl’s heart. Mukarram Kaleem for his deadpan delivery, fabulous comic timing and the ability to deliver the worst advice in the world as if he got it straight from Moses. Everyone should have such a credible, cute and clueless but always willing and helpful friend. Irsa’s performance was above and beyond the usual metaphors that we use to describe a good portrayal. She made her character come alive while remaining subtle, clever and incredibly genuine. Although her character arc went from being a hopeless widow to a rebellious lover to a disturbed murderess of her own nephews, yet throughout this journey Irsa won the audience’s sympathy for her less-than-lovable character. One of Pakistan’s most beautiful and versatile actresses she played Kashaf’s mother in ZGH and by the end of the play seemed the more admirable character. It was a wonderful and popular performance which stole many hearts with its emotional depth and true-to-life portrayal. Vassey Chauhdry’s amazing script, Anjum Shehzad’s surprisingly great direction, Fawad and Vassey’s wonderful ‘Bromance’, not to mention the sheer pleasure of making us believe in Pakistani movies again. Fawad’s star power shone throughout this fun, well-made movie. Anjuman brought back that traditional South Asian cinema that we had thought we had lost forever. Although the plot was hard-to-believe, Imran Abbas and Sara Loren’s fabulous acting combined with a beautifully written script by Zanjabeel Asim and Noorul Huda Shah, along with controlled and focused direction by Yasir Nawaz made this one of the best. And now let us move on to the fun categories. When Ghulam Farid tells his father-in-law that his son is dead in Ulloo Baraye Farokht Nahi and both know who is responsible. When Aunn tries to sing his way into Zara’s heart in Aunn Zara. When Fawad Khan saves the day in a white sherwani in Armaan. When Kashaf wakes up to find Zaroon sleeping next to her in Zindagi Gulzaar Hai. When Kiran goes to get her books from Sikandar’s house in Kankar. When Iffat Umer begs Anjuman for her ‘son’ back in Anjuman. 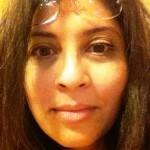 Mahjabeen and her hairpin in Numm. Murtaza and Nigar eating fruit and drinking chai on the bed in Zindagi Gulzaar Hai. 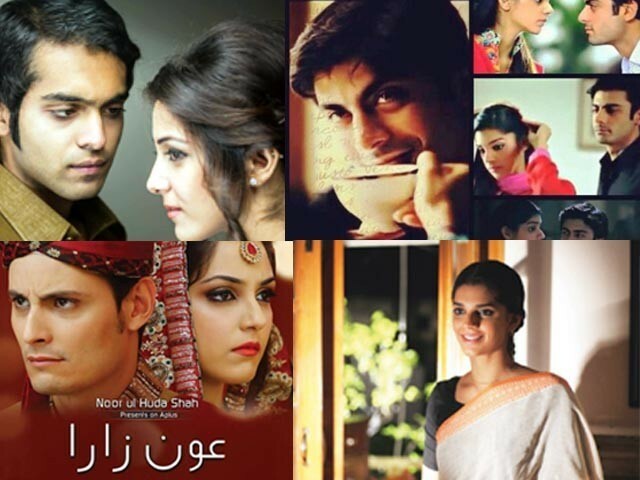 Looking back, 2013 was quite a happening year for Pakistani dramas. There were the good moments, the bad and then some downright ugly ones. We hope that viewers and drama makers will take heed and make 2014 an even more memorable year – and this time, mostly with amazing moments! Correction: This post previously stated that Sikander slapped Kiran in Kankar. The mistake has now been rectified. The error is regretted. And you can listen to us discuss the results as well.